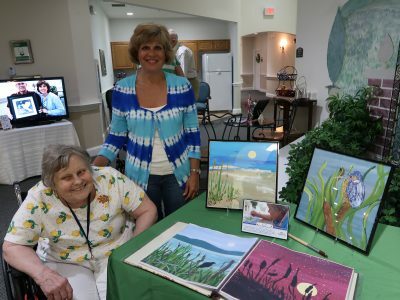 On June 1st we had the great joy of showcasing the beautiful artists we get to work with at Meadow Glen Assisted Living. 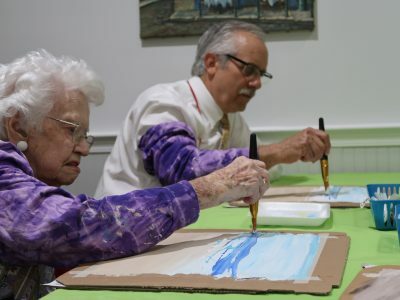 Residents and visitors enjoyed our slideshow and exhibit featuring a sampling of the hundreds of paintings Meadow Glen’s residents have created in the nearly four years they’ve had me coming there. 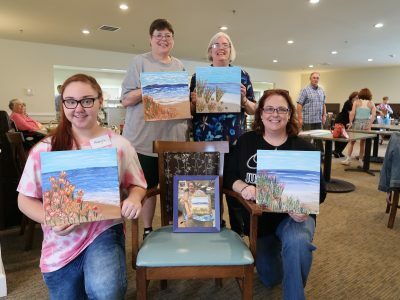 As a special added treat, attendees were given an opportunity to experience for themselves just how easy and enjoyable it is to follow our guided painting process! 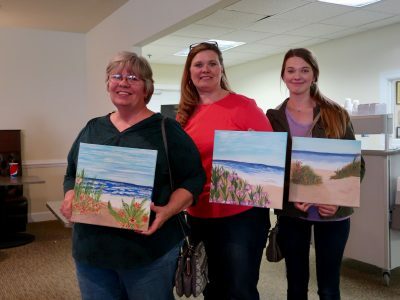 Two beautiful collaborative beach paintings were created that night by eight brave residents, families, staff and visitors! 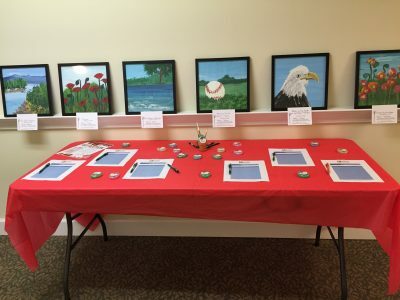 A special thank you to the Executive and Activities Directors at Meadow Glen for inviting us to be part of their Open House. 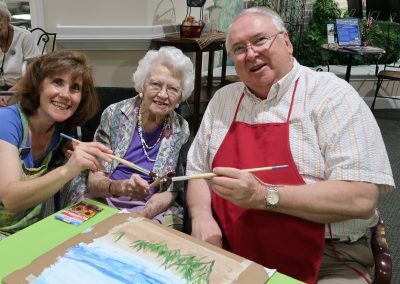 Here’s to the beauty and joy their residents are bringing into our lives! 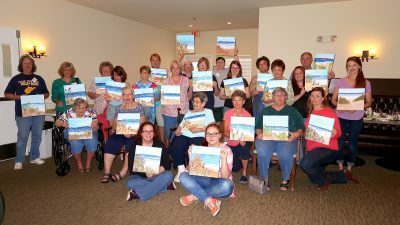 Fabulous day yesterday at the beaches! 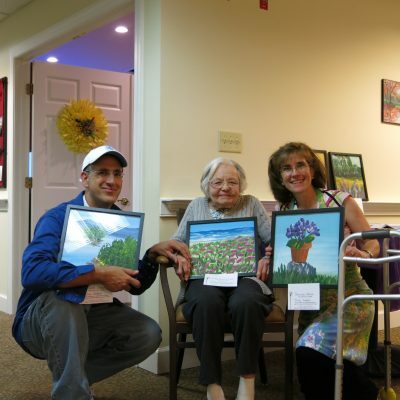 We’re all so grateful that our Artist Date resulted in over $1,000 in donations in support of the vital work of the Alzheimer’s Association! 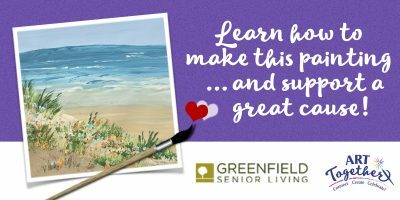 Join us April 29, 2017 1-4pm at Greenfield Senior Living in Berryville, VA for what is sure to be a fun afternoon! 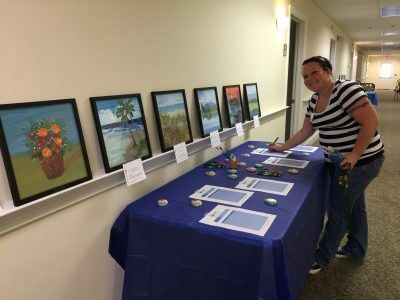 All supplies will be provided, as well as light refreshments. Seating is limited to 30 guests and we are expecting this event may sell out quickly, so don’t delay. 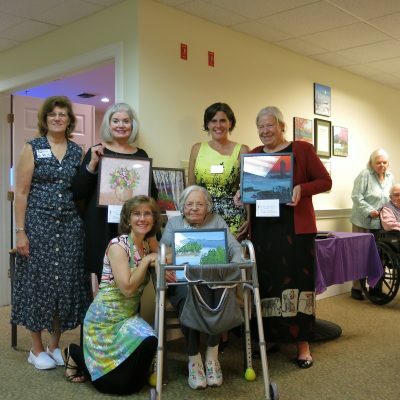 Profits raised benefit the vital work of the Alzheimer’s Association. Get your tickets today! 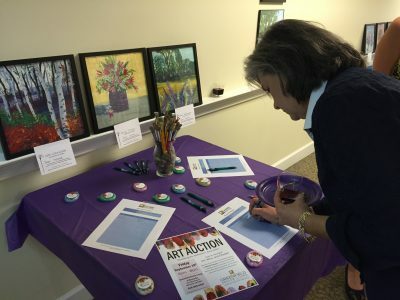 Greenfield Senior Living of Berryville, VA in partnership with Art Together recently hosted a silent art auction with all proceeds to benefit the Alzheimer’s Association. 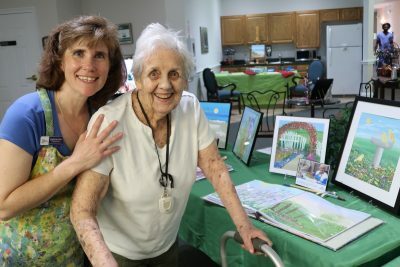 The artwork was created by the residents who have participated in our programs over the past two years. 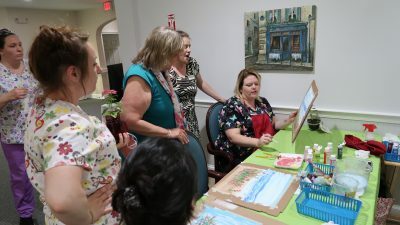 Thanks to the generous donations of more than 25 paintings by residents and their families, and the generous donations by attendees, the event was able to raise $930 in just 90 minutes! Wow!! 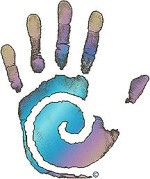 Here’s to the gift of the arts in our lives….and the blessings and healing they can bring to others! 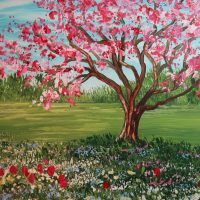 Please stop by and paint with me! 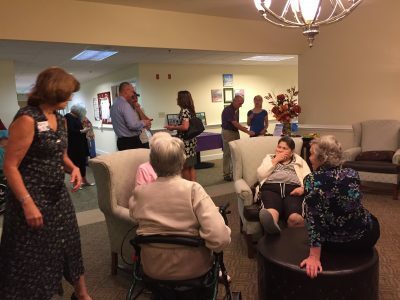 In celebration of National Assisted Living Week, Greenfield Senior Living in Berryville,VA will be hosting an Open House. 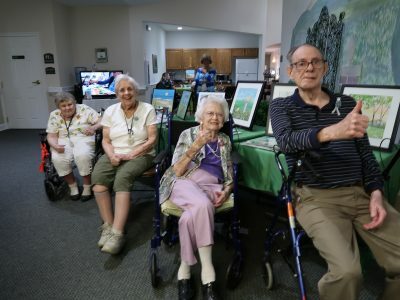 All are welcome to come by and tour their residence 10am-2pm on Monday, Sept. 8th, 2014. 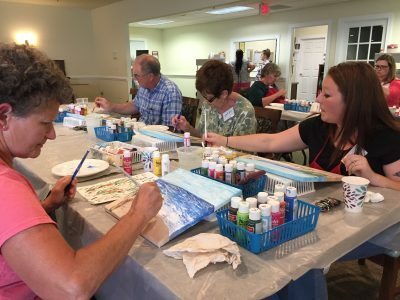 I’m honored to have been asked to be a featured activity during this event. 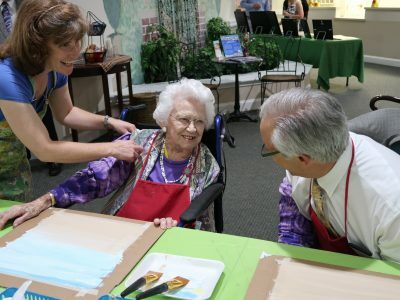 I’ll be inviting visitors and residents to paint four paintings with me. 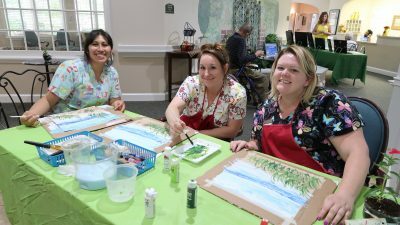 We hope you can come by to learn about our programs and services, and tour the grounds!